Lower paid and lower skilled personal care workers are likely to be substituting the work of enrolled nurses in Australia’s residential aged care homes, according to new research released by the Bankwest Curtin Economics Centre today. 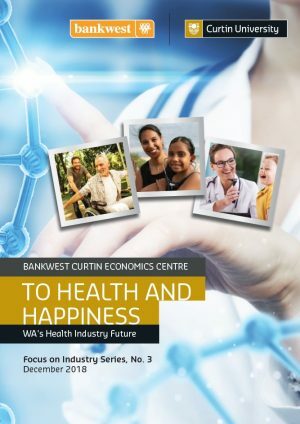 The report, To Health and Happiness: WA’s Healthcare Industry Future, examines the healthcare sector in Western Australia, including the supply and demand for health care services and the workforce that delivers these services to WA and Australia. Report author Professor Alan Duncan, Director of the Bankwest Curtin Economics Centre, said the research found the number of people in residential aged care in WA with complex health care needs increased from 12.7 per cent in 2008 to 51.8 per cent in 2017, yet the number of staff qualified to deliver this care had failed to keep pace. “Across the State, less than a half (45 per cent) of the number of full-time enrolled nurses that should be employed in aged care are actually working in the sector, yet personal care workers are outnumbering their place in the estimated required workforce by as much as 173 per cent,” Professor Duncan said. The report also confirms the growth of the health care sector, with the sector now ranked third in terms of its contribution to the WA economy, growing by 8.8 per cent in the last year, more than 2.5 times the pace of the average for all other industries. 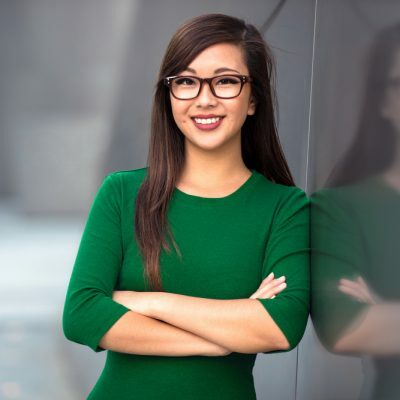 It’s also become the biggest industry employer in the West numbering more than 170,000 workers, with four in five workers women. “Given its size relative to other industry sectors in WA, this report confirms that the economic contribution from the health care sector has been a major factor in the State’s recent return to positive growth,” Professor Duncan said. Research into job satisfaction and the wellbeing of health care and support workers in Australia found an increase in the share of workers in high or very high psychological distress, from 13.1 per cent in 2007 to 16.3 per cent in 2015. The share of health care support workers being very satisfied with their job has also deteriorated over time, from 46 per cent in 2001 to 30 per cent in 2016. “Signs of increasing poor physical health and psychological distress among health care and support workers, coupled with falling shares of the workforce being very satisfied with their jobs, could indicate a sector where employees are not given adequate support,” Professor Duncan said. Co-author Associate Professor Astghik Mavisakalyan, Principal Research Fellow at Bankwest Curtin Economics Centre, said an underinvestment in health research and federal grant funding in Western Australia was also holding the industry back. 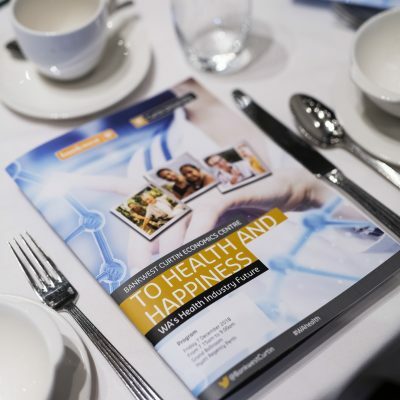 “With an ageing population and an increase in the instances of preventable health conditions, there is a strong economic rationale to invest in health research, particularly in the area of preventative health care,” Associate Professor Mavisakalyan said. The report found WA also receives less funding per person for health research than other states and territories, averaging $17.34 per person, whereas Victoria stands at $66.98, NSW at $72.56 and Queensland $39.65. “Despite this underinvestment, WA has introduced a number of initiatives to boost innovation in health, including a significant increase in providing online health (telehealth) services, particularly in regional areas,” Associate Professor Mavisakalyan said. The report also found a link between increasing visits to general practitioners and decreasing instances of avoidable hospitalisations and deaths, indicating universal access to GPs and emergency telehealth services could help reduce hospitalisation rates. 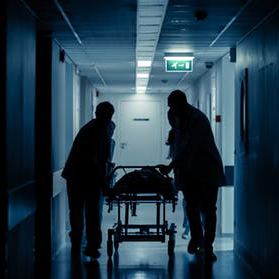 However, for some areas across Western Australia, avoidable deaths remained alarmingly high and have been increasing despite an increase in GP attendance. “In Esperance, Kwinana, Bunbury, Mandurah, Rockingham, Albany, Margaret River, South Perth and Mundaring, there has been an increase in both GP attendance and avoidable deaths over the last five years,” Professor Duncan said. Industry gross value added (GVA) for the health and social assistance sector sits at $14.4 billion over the year to June 2018, and now ranks third across all sectors in WA behind mining and construction. Recurrent health spending for Western Australia reached $18.6 billion in 2016-17. Public hospitals represent the largest spending commitment from WA’s State Government, at $1,065 per person for 2016-17. The contribution from the Federal Government to WA’s total health spending sits at about $2,840 per person – the lowest level of funding across all states and territories. WA receives a smaller share of NHMRC grants than New South Wales, Victoria, Queensland and South Australia and this share has declined from 7.2 per cent in 2006 to 5.0 per cent in 2016. As of 2016-17, WA has one of highest recurring health expenditures per capita across the states at $7,259 per capita. In WA, the largest cost is for hospitals at a consistent 43 to 44 per cent of recurrent health expenditure. In 2001, 58 per cent of Western Australians reported very good or excellent health, compared to 42 per cent by 2016. Obesity in WA, at 60 per cent, is the lowest among the states and territories. One in five (21 per cent) Western Australians have dangerous levels of alcohol consumption – the highest rate among the states and territories. In 2014-15, 17 per cent of Indigenous and 6.5 per cent of non-Indigenous Western Australians were at risk of long-term harm from alcohol. In WA, the daily smoking rate is 43 per cent for Indigenous people, and 13 per cent for non-Indigenous people. On average, WA people had visited the GP just over five times in 2016-17, almost one instance less than the national average. Queensland has the highest proportion of its Indigenous population receiving annual health checks and the Northern Territory has the second highest. As of 2016-17, the Northern Territory has the highest ratio of bulk billed GP attendance (90.6 per cent) and the lowest is in Tasmania (77 per cent). About 83 per cent of unreferred GP attendances in WA were bulk billed in 2016-17. Despite their social economic and geographic differences, the out-of-pocket cost for GPs is almost the same in Claremont and West Pilbara. Large parts of the Northern Territory and northern WA have some of the highest rates of avoidable deaths. In Esperance, Kwinana, Bunbury, Mandurah, Rockingham, Albany, Margaret River, South Perth and Mundaring there has been increase in both GP attendance and avoidable deaths. Patient contributions to out-of-hospital costs continue to increase, with the greatest increases in the Northern Territory. Regardless of age or gender, WA has the third highest rate of emergency department presentations. The availability of beds per 1,000 population in WA remote areas is second lowest across the other states at 2.9 per 1,000 people. There were 17,014 emergency telehealth service consultations in 2017, increasing from only 564 in 2012. 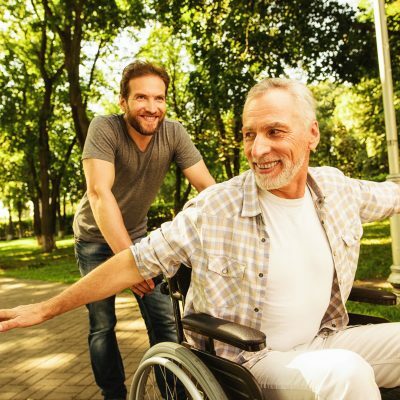 Between 2008 and 2017, there has been a substantial increase in the number of individuals in residential aged care facilities in WA who were assessed as having high care needs in areas of complex health care (from 12.7 per cent to 51.8 per cent). The substantial increase in the number of individuals in residential aged care facilities in WA who were assessed as having high care needs was not reflected in the three most commonly used comparable public health data sources in the general population aged 65 years and over. WA’s 6.2 per cent non-occupancy rate for residential aged care facilities in 2017 was the second lowest amongst all the states and territories. The non-occupancy rate for residential aged care facilities in very remote locations in WA increased from 10.2 per cent in 2008 to 25.9 per cent in 2017. Between 2013-14 and 2016-17, the median elapsed days to be assigned a residential aged care place in WA more than doubled, increasing from 65 days to 151 days over the period. As of 30 June 2018, there were 11,592 Western Australians on the home care national prioritisation queue, 44 per cent of who were not either in, or assigned to a lower level home care package. In 2016, Australia’s actual full-time equivalent workforce for registered nurses was only 85 per cent of the estimated required full-time equivalent workforce; in WA this share was 95 per cent. The actual full-time equivalent workforce for enrolled nurses in 2016 was only 31 per cent of the estimated required full-time equivalent workforce in Australia, and 45 per cent in WA. The actual full-time equivalent workforce for personal care workers in 2016 was 131 per cent of the estimated required full-time equivalent workforce in Australia, and 173 per cent in WA. The health and social assistance industry in WA accounts for nearly 171,000 of all jobs in WA as at August 2018 – more than any other sector of the State’s economy. Health and social assistance sector employment in WA grew by about 16,000 jobs in the year to August 2018 – a rise of nearly 10.4 per cent. In the health and social assistance sector, about four in five (a total of 136,190) employees are women. The share of women in the workforce is highest in WA’s residential care sector (at 84 per cent) and the State’s hospitals (at 80 per cent). In 2006, nearly 40 per cent of Australia’s health care and support workers had no post school qualifications; in 2016 this share had dropped to 22.5 per cent. Real hourly wages of both health professionals and health care and support workers have increased over the last 15 years, at a higher rate for health professionals. A higher share of health professionals are satisfied with their jobs now compared to 15 years ago, however the share of very satisfied health professionals has decreased slightly. Over 20 per cent of health care workers reported being in fair or poor physical health in 2016 – a decrease of 6.6 percentage points since 2001. About 8.7 per cent of health professionals and 16 per cent of health care and support workers reported high or very high psychological distress in 2015.